Such an empowering word. "Samizdat." The idea seems quaint in the digital age, but the need for such underground communication is as important as ever. We are witnessing a global backsliding in democracy at a rather alarming rate; even the world's staunchest proponents of human rights and ideals are experiencing existential threats to their institutions the world once strove to live up to. The demonization, detention, and even death of journalists has become far too widespread. 2016 was one of the worst years for journalists that we've seen in many years, led by Erdogen's regime in Turkey, who arrested 81 media workers in 2016, often shuttering media outlets with it, according to the Committee to Protect Journalists. And what role has the global adoption of the internet played in the world's slide toward authoritarianism? How can you quantify it? The proliferation of amateur outlets purporting to report the news without the education and professional training necessary to verify facts, identify and assemble a portfolio of trustworthy sources and recognize those who would seek to disseminate false information, and even refrain from kneejerk reactions and personal opinions when inappropriate, has contributed to a global climate of conspiracy theories, "alternative facts," "fake news," and a host of other misinformation events. The Soviet Union was, at times, one of the most heinous empires in human history, as most non-authoritarian-inclined people would agree. Censorship, of course, was an inherent part of the regimes power. Indeed, without censorship, such a regime could not exist! It's why the samizdat existed, too, but to fight it. Russian poet Nikolay Glazkov coined the term as a joke (showing that comedy always sides with the resistance.) His father was repressed as part of Stalin's Great Purge. Consequently, Glazkov was expelled from university for being related to "an enemy of the people." LOL. The only enemies of the people are those who seek to oppress the people. In Moscow, Glazkov worked odd jobs and printed poetry under the publishing house name "Samsebyaizdat" (self-publishing house), clearly a knock against state-run publishing houses. He later shortened the word. Glazkov may have used the term as a joke, but the samizdat were no joking matter. They were an essential tool to dissidents, who reproduced censored and banned material by hand and passed it from reader to reader. Harsh punishments were doled out to those caught with censored material, so the practice was highly dangerous. Boris Pasternik's Nobel Prize winning Doctor Zhivago was the first full length book to be passed around by samizdat. Samizdat covered a wide range of topics, from political and literary texts to nationalist and religious works. It is hard for many of us to fathom having to pass around ideas like that, on papers that are passed around, sometimes to the point of disintegration. Today, we have encryption that works the same way as the samizdat. While the Soviets had prying eyes looking for people who were passing documents around, Putin's regime has prying eyes reading what Russians and others write on the internet. What we have seen today in the United States shows just how far reaching is Russian cybercrime and cyberwarfare. It can affect the stability of countries. That is why encryption is so vital. Using SumRando Cybersecurity products will mask what data you are transmitting, making sure that Putin isn't intercepting your communications. We offer a VPN for internet browsing, Messenger for communicating, and STASH for transferring files anonymously. 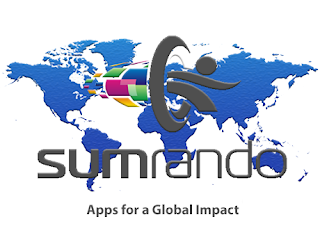 Visit https://sumrando.com today to learn more.